When Young Dragonborn Slays a Dragon, put a random Shout into your hand. 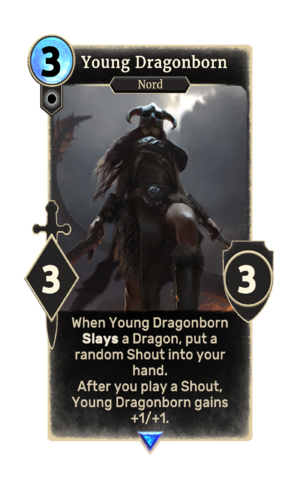 Young Dragonborn is a rare Neutral creature card. It is part of the Heroes of Skyrim expansion. This card's ability applies the Thu'um Trained card effect.